on this issue since 2009. “Too many Canadians today are struggling in retirement and change is long overdue. 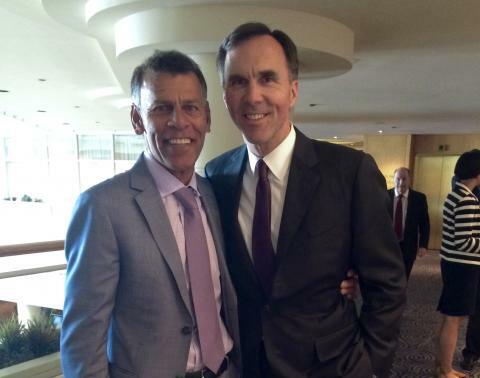 Even though we had asked that the CPP be doubled, we appreciate that this will be the first increase in the plan’s history, and one that will benefit all Canadians,” said Canadian Labour Congress President Hassan Yussuff. “We look forward to working with the provincial, territorial and federal governments to move the process forward quickly,” Yussuff added. low-income seniors and returned the Old Age Security eligibility age to 65. Yussuff added that this issue is important for union and non-union workers, because even those employees with a workplace pension plan or alternate savings are vulnerable to financial insecurity in retirement. Fewer employers are offering workplace pensions, and more workplace pensions are seeing reduced benefits. By contrast, the CPP follows workers from job to job, keeps up with the cost of living, and pays out benefits for life, regardless of how the stock market performs.